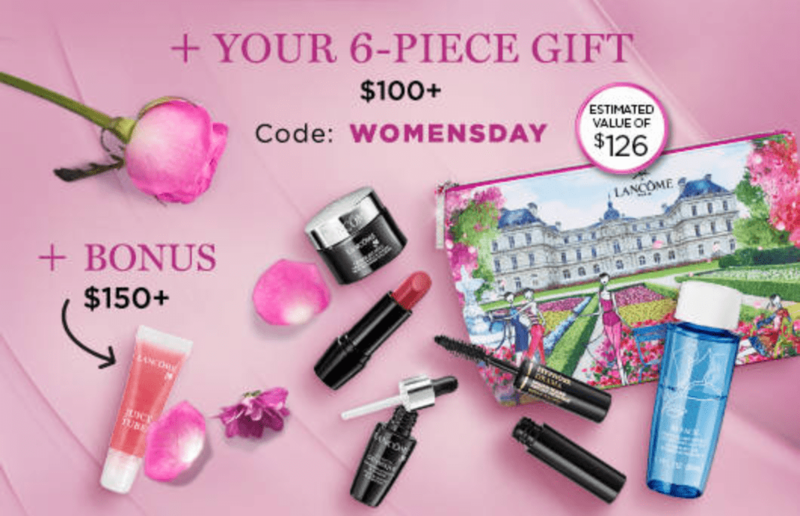 Lancôme Canada is celebrating International Women’s Day with an awesome promotion, where you can save 15% off sitewide on orders of $50 or more. This offer is valid through 3:00 am. EST March 11, 2019. No promo code required. Enjoy FREE Samples with any online order at Lancôme: Get 2 complimentary samples including the No.1 Anti-Aging Serum, Advanced Genifique. These promotions are valid for a limited time, while supplies last. Lancôme has FREE Delivery over $85 orders. Click here to shop at Lancôme.